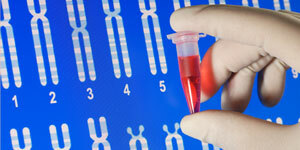 Assured Testing DNA :: More Services Page :: Save Time and Money. Quality Assured! We provide several resources and information for our clients to better help them understand the process of dna testing and their rights. Inclusion, means you've been proven by DNA Testing that you are 99% the biological father of a child. Know your rights! Surveys show the number on consumer complaint for DNA Testing is that no DNA Testing facility will answer the consumer legal questions. Thats why Assured has established a partnership with a law firm to assist their clients with their legal issues. It's been proven 30% of men who have taken a paternity test are not the biological father of the allege child/children. Not knowing the truth is frustrating. You could be in the above catergory. Call today and receive the piece mind you and your family truly deserve. Order the test online and receive them in the mail. It is that easy! Simply fill out the order form. Once we receive your information along with the payment option of your choice, you'll receive your package with-in 24 to 48hrs from the time purchased online. Your DNA Collection package will arrive at the location you specified. 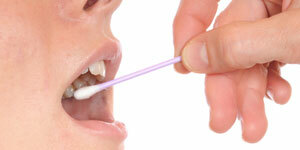 Follow the simple instructions on how to collect your DNA Samples from you and your child/children. After following the instructions and all samples have been collected please place all samples into the pre labled Fed Ex Package, to be forwarded back to our laboratory for processing, it's that easy. If you get confused and just don't feel comfortable during the testing process feel free to call our office (512) 480-TEST(8378), and an Assured Technician we will walk you through the testing process at no extra charge. We are here to assist you during this crucial time. Whether you use our at home testing kits, or come into our offices, we can provide results in as little as three business days! Assured offers Reliable, Fast and Accurate DNA Paternity Testing at no extra rush charge. Our DNA Patenity Test Results are received in 2-5 business days! No one beats our prices or our fast turnaround time. Heres how our turnaround time works: If your tested on a Monday, your DNA Test Results will be available same week on Thursday. If you are tested on a Tuesday, your DNA Results will be available on Friday, same week. Any other day tested, your DNA Results will be available the following week. Whether you use our at home testing kits, or come into our offices the above turnaround time will apply. Stop the stress take the Test!